FILE PHOTO - Eugene Kaspersky, chairman and CEO of Kaspersky Lab, answers a question during an interview in New York, U.S. on March 10, 2015. WASHINGTON - Eugene Kaspersky, the co-founder and chief executive of Moscow-based anti-virus firm Kaspersky Lab, said on Thursday he accepted an invitation to testify to U.S. lawmakers later this month over the security of his company’s products, but that he needed an expedited visa in order to do so. “I appreciate and accept the invitation to testify before the U.S. House of Representatives Committee on Science, Space, and Technology, and if I can get an expedited visa, I look forward to publicly addressing the allegations about my company and its products,” Kaspersky said in an email to Reuters. The invitation came a day after the Trump administration told U.S. government agencies to remove Kaspersky Lab products from their networks, saying it was concerned the company was vulnerable to Russian government influence and that using its anti-virus software could jeopardize national security. 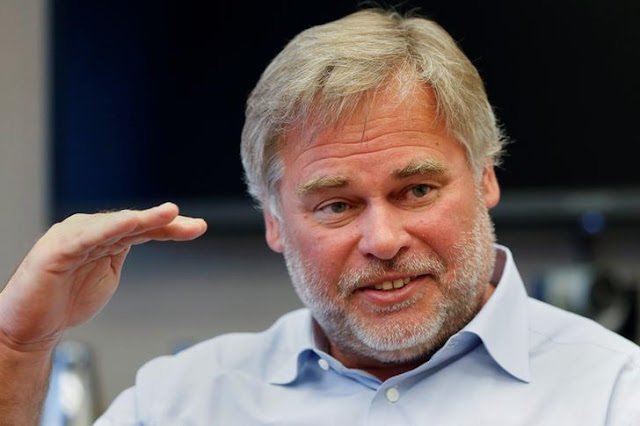 The committee said on Thursday it invited Kaspersky to testify on Sept. 27. U.S. government and private sector cyber experts were also invited. Kaspersky has repeatedly denied allegations that it is a pawn of the Kremlin or that it conducts espionage on behalf of any government. In an op-ed published by Forbes on Thursday, Eugene Kaspersky defended his company, which he said had been targeted for nearly five years by unsubstantiated rumors that have yielded no proof of any wrongdoing. “I’ve repeatedly offered to meet with government officials, testify before the U.S. Congress, provide the company’s source code for an official audit and discuss any other means to help address any questions the U.S. government has about Kaspersky Lab - whatever it takes, I will do it,” Kaspersky wrote. Eugene Kaspersky, the co-founder and chief executive of Moscow-based anti-virus firm Kaspersky Lab, said on Thursday he accepted an invitation to testify to U.S. lawmakers later this month over the security of his company’s products, but that he needed an expedited visa in order to do so.